 Interventions included static hamstring and posterior calf stretching or Hatfield strap assisted stretching on each leg for 4 weeks, stretching was completed for a period of 2 minutes, 4 times per week. An active straight leg raise was chosen in this instance to evaluate specifically the hamstring as opposed to a sit and reach test which also involved motion at the spine, shoulders and pelvis. The subject was asked to lay supine and raise the test leg until they felt initial resistance, the subjects repeated this 3 times and an average was taken of the angle. During the 4 weeks, subjects were asked to perform the stretches as described, 4 times per week. 2 of these sessions were done under supervision.  The results indicate that there was an increase in ROM and ankle dorsiflexion using the Hatfield strap of on average 8.8 degrees and 1.22 centimeters respectively.  This compares favorably with studies investigating proprioceptive neuromuscular facilitation (PNF) on hamstring flexibility and the Hatfield strap could also prove effective in self-administered PNF stretching.  The Hatfield strap produced a larger change in hamstring range of motion than static stretching over a 4-week program.  The Hatfield strap produced a notable change in ankle dorsiflexion following a 4-week program. The Hatfield strap induced notable immediate changes in ROM at the hip joint, allowing increased flexion. The Hatfield strap also induced notable and immediate changes in ankle dorsiflexion after 2 minutes of stretching.  The Hatfield strap can be used to statically stretch, but also has the ability to be used as an adjunct to PNF stretching allowing individuals to perform PNF without the need for assistance. The Hatfield strap simultaneously allows for movement that increases both hamstring ROM and dorsiflexion. 100% of users felt that the strap met or exceeded their expectations. 90% of users felt that the strap allowed them to stretch more easily.  90% of users felt comfortable stretching with the product.  100% of users felt more flexible after using the product. 100% of users would recommend the product to other people.